Having been captivated by the drama “Mr. Sunshine”, it is impossible to not visit “Sunshine Studio” while I was in Seoul. Going there is not an easy task. We decided to take the KTX train from Yongsan train station to Nonsan where the Sunshine Studio studio is located. The train took one hour and 37 minutes. When we arrived at Nonsan, we were approached by a taxi driver who said he can drive us there. This was a correct decision as the trip was much shorter and we avoided having to walk at least 20 minutes from the bus stop to the Studio in the rain. The bus ride would have taken more than 45 minutes! 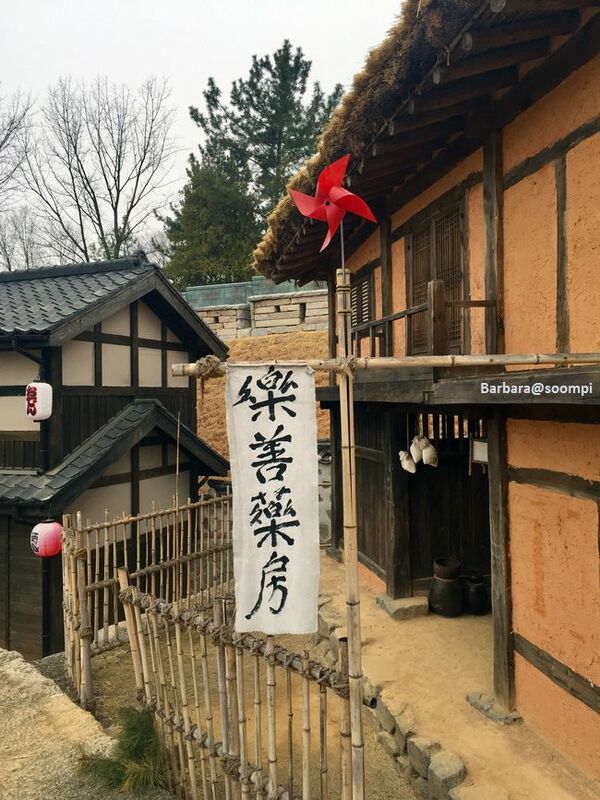 Visiting Sunshine Studio is the best way to recapture the moments of the drama and to imagine oneself in Hanseong as Seoul was known in that time. The set looked authentic. However, I cannot find Room 304 where Eugene stayed. The Director was very clever to take shots at the right angles to let us imagine a far bigger set with many more rooms. 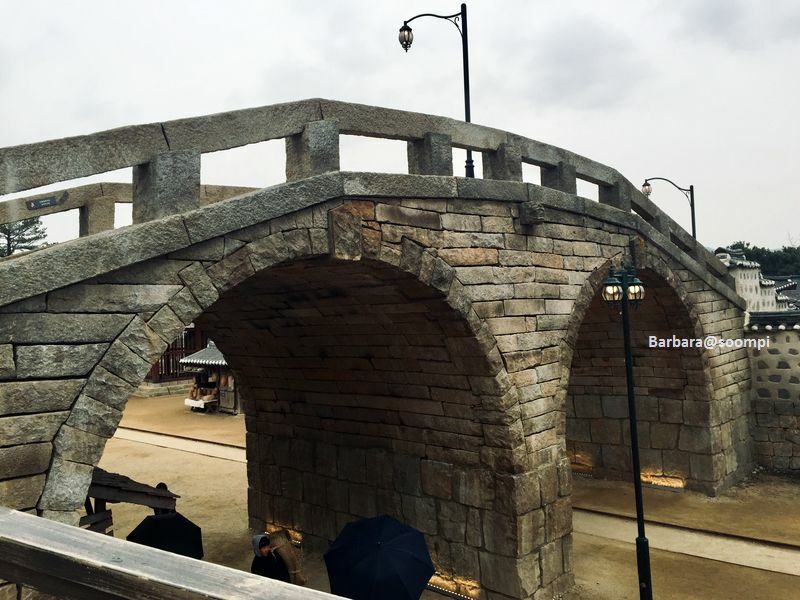 Thanks so much @peonie for the wonderful post, it's really awesome to have firsthand sharing of the MR.SUNSHINE filming set and how it's really like up close. 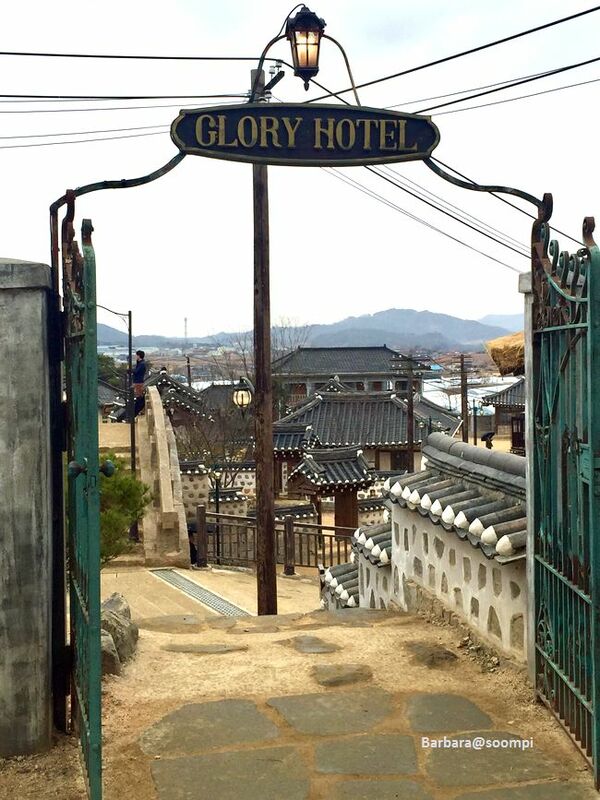 The highly rated drama not only a top-notch production, the filming set now plays an important role as a must-see tourist site in South Korea. Hope more Kdrama fans and public alike will visit the filming set & studio to experience and appreciate the great drama. Eugene Choi’s desk at the US Consulate. 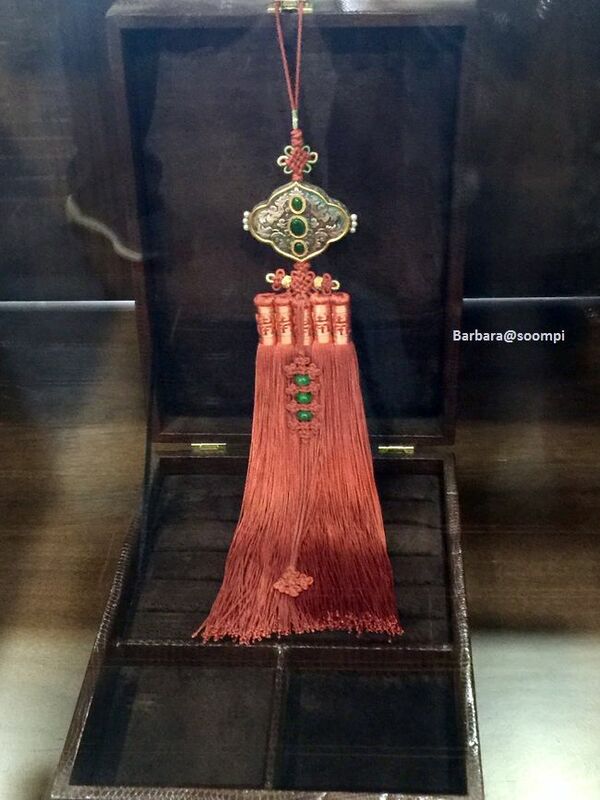 The special ornament given to Eugene before he escaped from Joseon. 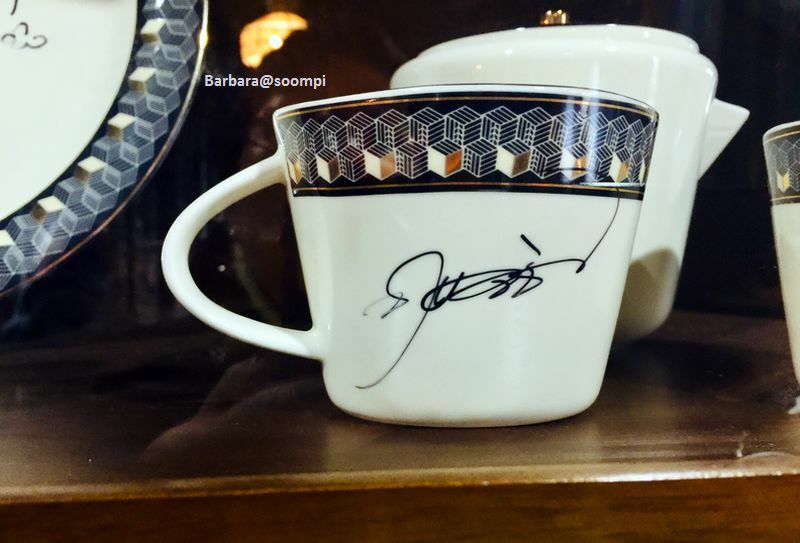 The coffee cup signed by Byung Hun -ssi that was used at the Glory Hotel. The dress that Hina lent to Ae Shin for searching the missing gun scene. Tailor Shop where Ae Shin, Eugene and Hee Sung have their suits and overcoats made. Hongyegyyo Bridge under which Go Ae Shin and Eugene Choi met face to face. The Pharmacy where Eugene and Ae Shin met. 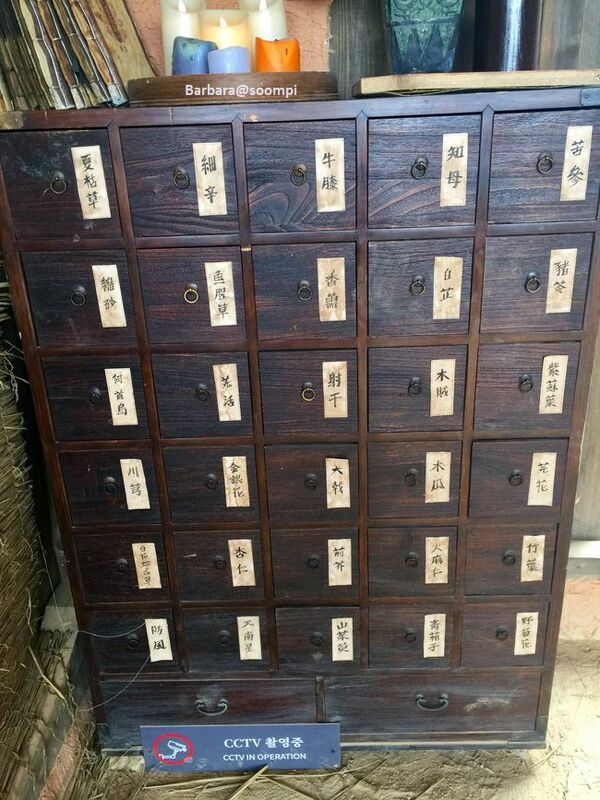 Medicine drawers where Eugene and Ae Shin exchanged messages. Hwawollu where many important scenes were filmed. "The Greatest & Noble One. Still on a picnic here in Chosun." When it comes to selecting her future projects, she is very conscientious about the message the movie is trying to tell the audience and the significance of the role she plays. It’s no surprise that her acting is spotless and the films are successful since she puts so much thought into each role. The Brawl Stars online game commercial on Youtube featuring Lee Byung Hun (Eugene Choi) and Jo Woo Jin (Gwan Soo) in a Mr.Sunshine parody segment, the alternate version. The first-released CF feat. LBH-JWJ in an Inside Men parody which both actors appeared in 2016. Full Brawl Stars by SuperCell CF version 1 // version 2. Found this article .. after (almost) a year since Mr.Sunshine..
[Source: OSEN = Reporter Kim Na Hee] The three men in the same frame made the audience surprisingly smile. 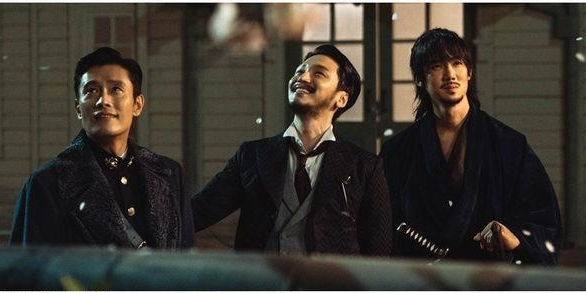 The image of Yoo Yeon Suk, Yoo Yeon Suk, and Byun Yo Han being together in "Mr. Sunshine" has made the audience's hearts warm. 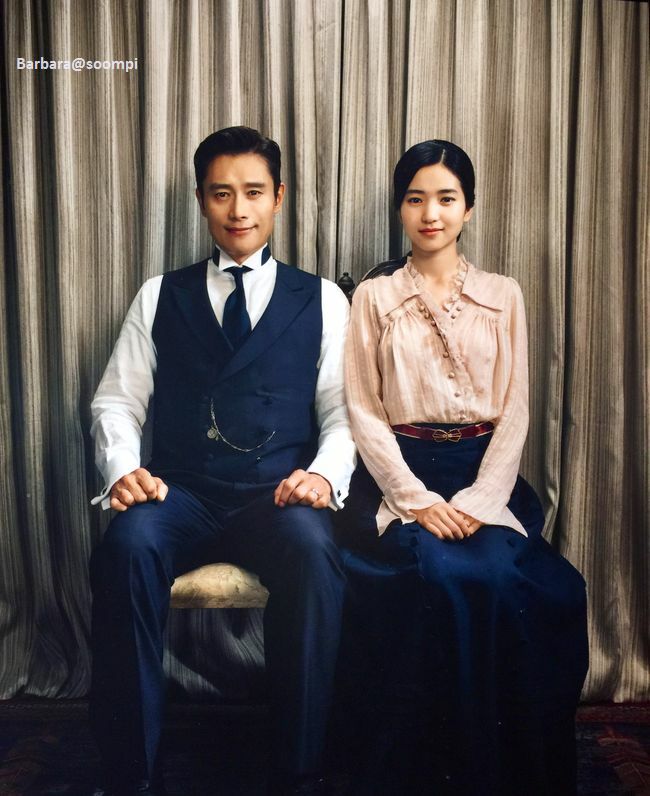 In tvN's weekend drama "Mr. Sunshine" (scriptwriter Kim Eun Sook/director Lee Eung Bok), Lee Byung Hun took the role of Eugene Choi, who had a hard life when being born a slave, left for America and became the Captain of Marines, Yoo Yeon Suk played Goo Dong Mae - the president of the Han Sung martial arts association and Byun Yo Han as Kim Hee Sung, unemployed fiance of Go Ae Shin (played by Kim Tae Ri). The effort combination of Eugene, Dong Mae and Hee Sung to get rid of dangerous situations in the last episode left a profound impression on the audience. After Dong Mae was arrested due to the charge of murdering missionary Joseph who he respected as his father, Eugene was sure that the real murderer was Kim Yong Joo (played by Yoon Byung Hee) who followed the incitement of Lee Wan Ik (Kim Eui Sung). He went to Kim Yong Joo and at the same time, took Dong Mae who was being slandered, out of the police station and brought him to US Legation. At this, Dong Mae's subordinates misunderstood the actions of Eugene and threatened him. Right after that, Hee Sung appeared and provided help. Hee Sung chased after Kim Yong Joo but unfortunately let him run away. However, he also provided an important detail that there was some incense smell on his body. By this information plus Dong Mae's suggestions previously, Eugene thought of places to hide when escaping like "secluded places, places where women live alone and where outsiders go in and out but take no notice of." 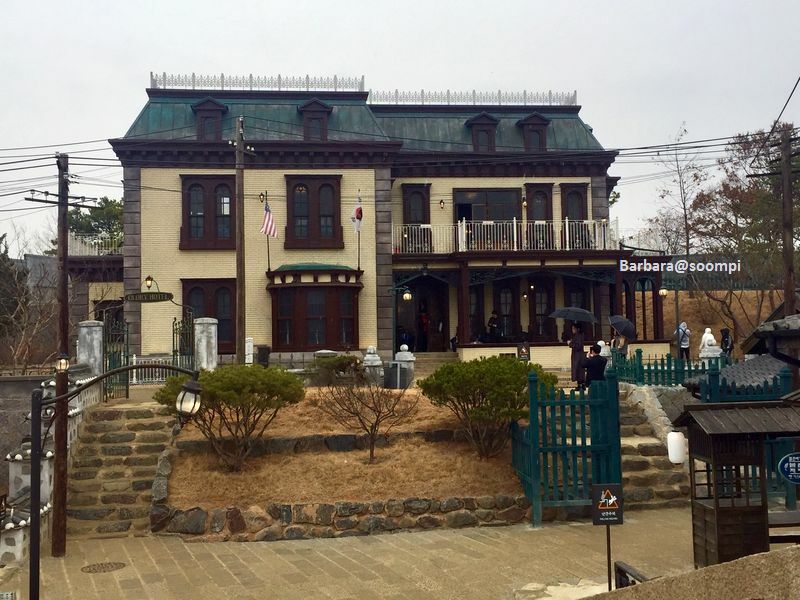 It suddenly reminded him of the sorcerer's house and captured Kim Yong Joo. The 15th episode to be aired on August 25 will feature a scene of Lee Byung Hun, Yoo Yeon Suk and Byun Yo Han walking together. In the drama, Eugene, Dong Mae and Hee Sung are talking and going somewhere. On the road, the three stop for a while and look in one direction and smile quietly. The three men all have special feelings for Go Ae Shin, the moment when they walk together on the road has been recorded. Audiences are very interested in the destiny of the three men who are being drawn into the vortex of fate. Before filming the segment of "Three men together," Lee Byung Hun, Yoo Yeon Suk and Byun Yo Han gathered together to read script, match dialogue. The smooth preparation of three actors gave the enthusiasm to the whole studio. 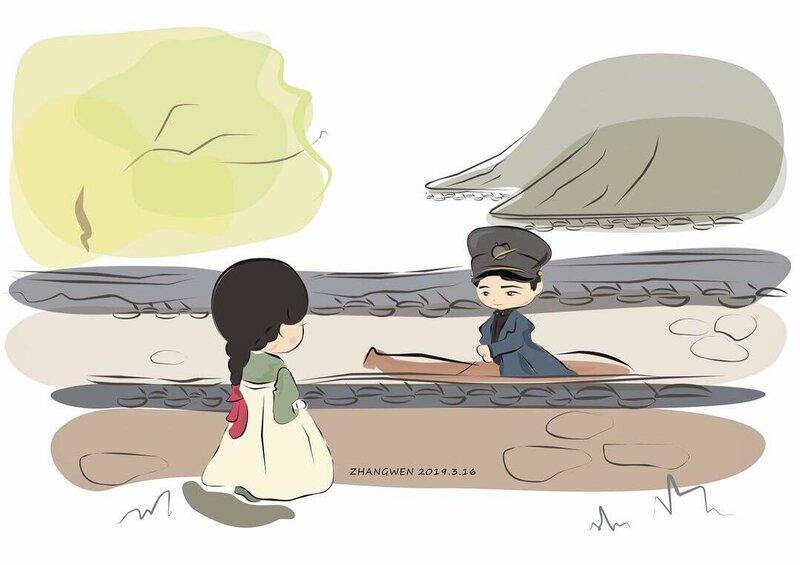 During the filming period, their junior-senior relation became tighter. When standing in front of the camera, even though they did not need to discuss too much, they showed their natural acting skills and great collaboration, making everyone in the studio admire. The three actors also showed a friendly atmosphere that was filled with laughter when they were waiting among scenes. All three showed a close and friendly relationship as co-workers and always took care of each other; there was a special teamwork among them. Thanks to that, the perfect footage which was made in just a short time was born. The producer shared, "In the drama, the relationship among Eugene, Dong Mae and Hee Sung are really special because they all have feelings for a girl. The connection among the three is unique. In the competition to seek for Ae Shin's love, the three of them finally have fought side by side as friends. How this friendship will develop, the audience can watch in the next episode this week." Voting will be available from February 27, 7 p.m. PT to March 27, 7 p.m. PT. * Based on current fan votes only. After Top Star Yoo Baek, another Kdrama is featuring the EuShin hand-scene. SBS’s Friday-Saturday drama “The Fiery Priest” released new stills of Kim Nam Gil and Honey Lee. Kim Nam Gil plays the hot-tempered priest Kim Hae Il while Honey Lee plays the tough prosecutor Park Kyung Sun. The two characters are often seen quarreling with each other. In the previous episode, Kim Hae Il had called her “non-recyclable waste,” which caused Park Kyung Sun to slam her head into his nose for pure revenge. The chemistry between the two volatile characters is one of the fun points of the drama. However, the stills that were released on March 21 display them in an unexpected situation. Contrary to before, they’re just staring into each other’s eyes. Kim Hae Il and Park Kyung Sun are making eye-contact while covering each other’s mouths. Park Kyung Sun then grabs his collar and looks into his eyes, and Kim Hae Il looks flabbergasted by the quizzical situation. Why are the two suddenly making eye contact? The unusual atmosphere between the two characters, who exchanged fierce attacks before, makes the situation even more curious. In particular, the way Kim Hae Il and Park Kyung Sun covers each other’s mouths while facing each other is reminiscent of the famous scene from the drama “Mr. Sunshine.” “The Fiery Priest” made viewers laugh with various parodies earlier, so this scene is also expected to bring another round of laughter to the small screen. “The Fiery Priest” airs on Fridays and Saturdays at 10 p.m. KST. Is CJ ENM a Pioneer or a Predator? CJ ENM has been behind hits like films from "Extreme Job", dramas "Mr. Sunshine" and TV shows "Three Meals A Day", "Produce 101", and "Show Me The Money". This year, the company has joined hands with BTS's agency Big Hit Entertainment to expand its revenue to the music section. CJ E&M merged with CJ O Shopping in July last year to create CJ ENM. At that time, the slogan was 'global convergence and composite contents and commerce company' and 'Korea's No. 1 global entertainment group'. Sales rose 9.7% last year to 4.3576 trillion won and operating profit gained 9.5% to 315 billion won. This is the result of its business tie-up capabilities in contents, commerce, and media solutions since the merger. Although the movie sector was the only one in the red, it is expected that the movie industry will see a comeback this year with "Extreme Job" that ranked second in the box office of 16 million people. Overseas markets are also speeding up production of local films by expanding into the existing Southeast Asian markets such as Vietnam, as well as the North American market, which is the mainland of film. The company is good at growing up through partnership and merger. A total of 10 entertainment agencies are owned by subsidiaries. 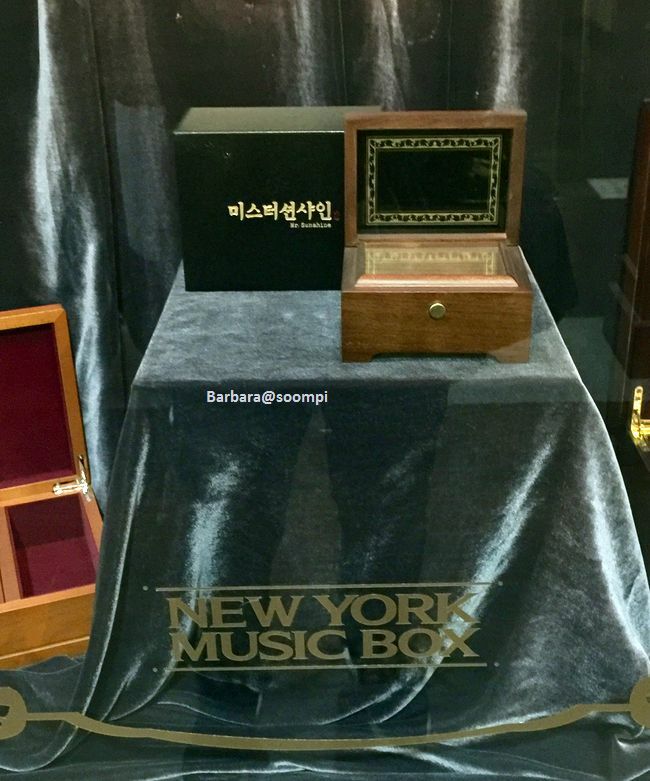 They include Jellyfish Entertainment, which includes the groups VIXX and Gugudan, Eric Nam's management agency Stone Music Entertainment, Wanna One's agency Swing Entertainment, Kang Daniel's agency MMO Entertainment, and Korean underground hip-hop management agencies Amoeba Culture, AOMG, Highlight Records and Higher Music Records. CJ ENM is also one of the second largest shareholders of Genie Music (15.35%) and also includes Studio Dragon, Hwa and Dam Pictures, Culture Storehouse, KPJ, JK Film, and JS Pictures as subsidiaries and corporations. This month, CJ ENM held hands with Big Hit Entertainment and established a new management agency called Belief Lab. A source from CJ ENM says, "With the aim of creating the next BTS, we plan on holding domestic auditions first. After global preliminaries in USA and Japan are over, we plan on producing and sending out audition programs in the future". Specialists say CJ ENM will propagate this year too with series contents, digital advertising and more. Series or seasonal productions of TV shows have been established in all production sectors, making it easier to make profits. With DIA TV, which is a part of South Korea's No. 1 multi-channel network (MCN) group, it is also drawing attention from the digital advertising market. DIA TV has 230 million subscribers, 1,400 creators and 2 billion monthly views of content. "CJ ENM has a competitive edge in TV, digital sectors and a variety of advertising platforms such as broadcasting, digital, and outsources so that it can provide an integrated solution for advertising from media planning to analysis of advertising effects", said Lee Ki-hoon, a researcher at Hana Financial Investments.